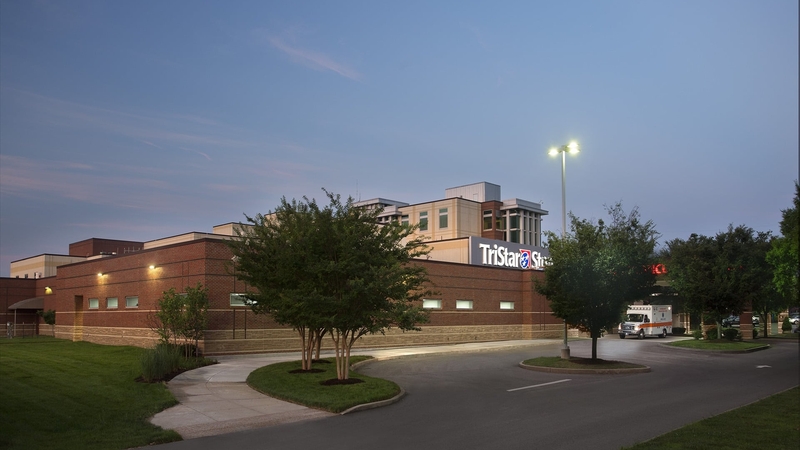 The main goal of this project was to expand existing Emergency Department services at TriStar StoneCrest Medical Center to increase the hospital’s ability to adapt to increasing patient volumes as well as better serve the fast growing communities of both Smyrna and the greater Middle Tennessee area. The addition is designed as a race track patient corridor system that not only provides a direct connection with the existing department, but also allow efficient movement for both staff and patients throughout the department. With the addition of new ED exam beds, portions of the existing Emergency Department will be renovated to allow for dedicated pediatric rooms as well as a new behavioral health suite. The exterior aesthetic for the Addition was designed to complement the existing exterior design, while also providing natural light to exam rooms along the perimeter to enhance the experience for both patients and staff.